NOTE: The reel in the picture has an optional bronze rim and custom acrylic handles which are an extra cost. Colours: Dark maroon brown, black, dark pewter, forest green, royal blue, gold. Other colours available, please inquire. 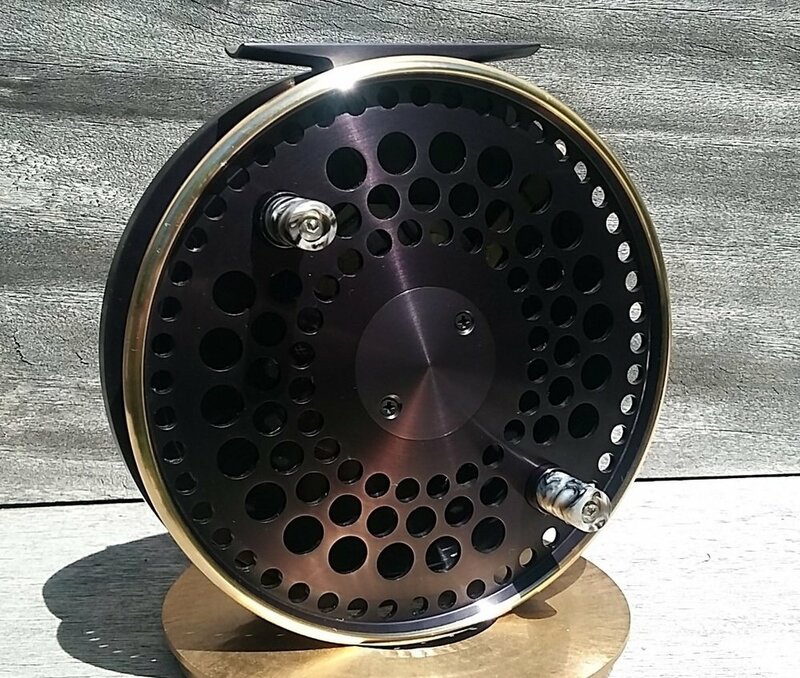 Dust plates are standard on drag reel models and can be the same colour as the reel or a gold or silver colour to match the optional rim if ordered. - Adjustable drag knob instead of the set-and-forget flat spool cap for $60 extra if ordered with the reel or $100 as a retro fit.